Exactly like a quote says, life is truly filled with unpredictable and strange surprises, which sometimes bring us to tears and lead us to change how we see and understand the beauty of life. Being one of the finalists for this year’s Best Cebu Blogs Award was probably the most unexpected recognition I have received. As a blogger that simply began with zero knowledge about blogging and slowly understand the beauty of blogging would never expect this recognition. Taking a bunch of photos and writing my travel journey is my way of expressing how a struggling person could stand up and shows the world that a chaotic world means nothing if you take your pick and go for it. I bear a humble beginning in the blogosphere world, writing is my first love, but good grammar is my closest enemy. But a heart that is willing to learn is my motivation, and therefore I was patiently crawling like a turtle to slowly reach to where I want to be. It takes time and it requires a challenging process, but if this passion makes you happy, you’ll surely go far. I’ve seen myself growing in the blogosphere world and I have inspired not just myself to continue my passion, but also the people around me. It has fed me a wider understanding that writing and taking photos is a genuine gift that only rare people have owned it. It is when we truly understand the meaning of whatever we do in life, the love for our passion that we always bear in mind, then the recognition comes and it motivates us to perform better and improve ourselves as a license to inspire and not the license to boast. Our achievements in life are like an angels voice that appears to be charming in every ear, but we should always be humble to be worthy of any recognition granted to us. Truly, it is limpidly shown and I can’t deny it, I’m really grateful for this recognition. To everyone who have been supporting my blog, by sharing, reading and have inspired by my travels and my random thoughts while traveling as my personal reflection, thank you so much. I couldn’t get this recognition without the support that you have extended, thus I’ll give back all the honor and glory to everyone, especially to God. My greatest gratitude for the Best Cebu Blogs Awards as well for organizing an event like this and for giving an opportunity to all the bloggers in Cebu to be recognized. I know that it isn’t about the award after all, but the heart that is full of passion and honesty to whatever we do and how we inspire others in whatever talent that God has given to us and a chance to voice out how we inspire others and carry the change for the goodness of our country, the Philippines. To all my co-finalists for this year’s Best Cebu Blog Award in all categories, particularly in the Photoblog category. Gly the beautiful lady behind the amazing blog known as Chasing Potatoes. And the man behind the successful travel blog in just a span of two months, no other than, Miguel of Vivomigsgee, which both of them are not just gifted in taking stunning photos, but also gifted with how they love and mold their passion in photography. Congratulations to each and every one of us. May we all give the glory and honor to God! God bless us all and may we continue to inspire others and pursue whatever passion they own. The 10th Awards Night for Best Cebu Blogs Awards will be held in a glowing blue-colored and very accommodating hotel, Cebu Parklane International Hotel on December 03, 2017 at 6:00 PM. As Co-presented by PLDT Home and Megaworld Corporation, BCBA2017 will reveal the Winners under different Niches such as Best Cebu Technology Blog, Best Cebu Personal Blog, Best Cebu Travel Blog, Best Cebu Food Blog, Best Cebu Style Blog, Best Cebu Photo Blog and Best Cebu Entertainment Blog and the newly added, Best Cebu Video Blog. In the addition, BCBA will also award Best Creative Writing In A Blog by Memoriter Writing Services and Megaworld’s Top Cebu Blogger of 2017 to the best online writers. BCBA2017 won’t be successful without these big hearted Sponsors and collaborators. Congratulations and good luck, Lai! You are always so humble and sincere. You deserve this honor. I hope to someday cross paths with you and other like-minded bloggers from Cebu. Kudos! You’re a beast man! Coming back here and there and you’re still going. Great! Props on the accomplishments. Congratulations for this great achievement. I know that you have been working hard on this blog, and all of us (bloggers) know how much time we spend selecting photos, writing, and revising the posts that we publish. 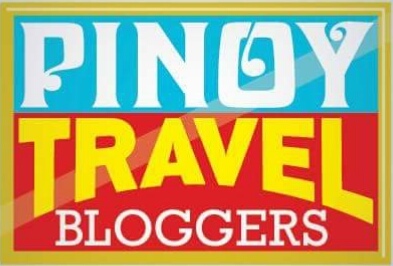 Best Cebu Blogs Awards is a proof that your work is on the right pass and that people like it. Once again: my best greetings and congratulations from Romania ! Congratulations! This is such an awesome award! I have to say that your blog has my favorite posts from the Philippines. You always show off and feature so many different facets of Cebu that leave me mesmerized and on the verge of buying a flight to Cebu! Congratulations!! Its so nice to be recognised for all your hard work. Good luck on the 3rd December 🙂 Cebu looks like an amazing place to visit too! Congratulations on the recognition which is well deserved. I am sure you are pleased. But have been following your blog for some time, I know that the sheer joy of travelling and writing about it would in itself be your greatest award and reward. Firstly very big congratulations on being one of the finalists for this year’s Best Cebu Blogs Award that is great news. It is amazing that you can be recognised for your hard work for something that you love. All the best to you Lai! Bring home the bacon, you deserve it and keep writing and inspiring people to pursue their dreams even with zero knowledge in the beginning! First of all, one thing I really admire about your blog is the quality of your content. Your posts are very informative and i really love your choice of words… It is not really surprising for you to be recognized in such award body. 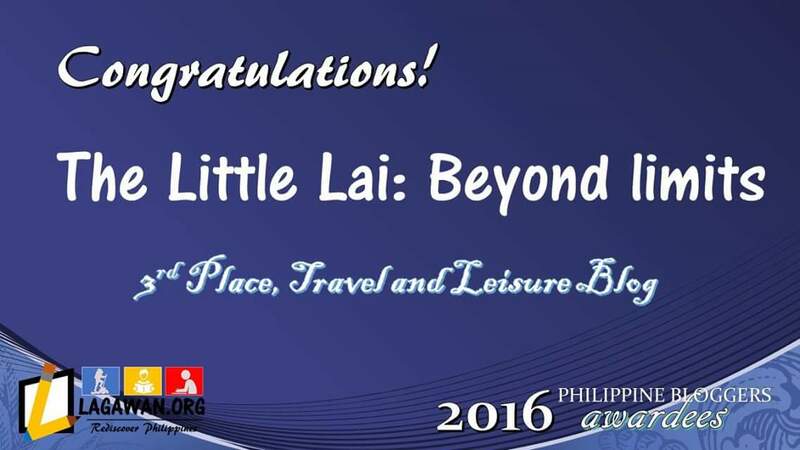 Congratulations again for being one of the finalist in Cebu Blog Awards… you really deserve it Lai and I’m happy for you! As always mentor , CONGRATULATIONS! Dear Lai, you write from your heart and that is what should matter. Yes, grammar is important but secondary. People read blogs to understand other people’s experiences and not learn grammar. Else, all the people would be reading newspapers! Trust me, you write very well. I can only give words of congratulations to you. For if there’s more, I think it deserves a time in the near future. Good and kind words are better said in person. Many are gravitated towards you. The way you write and speak from the heart. You have your hands full! But I hope you will not change towards me and to those dearest to you. Congratulation and Wish you the best on your future endeavor . Sending my warm congrats to you, you deserved to be part of it 😉 Keep it up!! Congratulations on this. It is an honor to have been followed by an inspiration. To more years of blogging and travels for you, Sir.